Choice is life’s greatest gift. Choice is the ability to select one course of action from a set of alternatives to achieve a goal. We become another Michelangelo, for “choice” is nothing other than the chisel we use to sculpt our life. Life is not static, it is a flow. Every choice we make leads us closer to our goals. Choice is power. Choice is the heart of life; it is the creative power of life. Family Choice will guide you make that choice every day, so that your life becomes more convenient and comfortable, so you can relax and continuously enjoy what life has to offer. 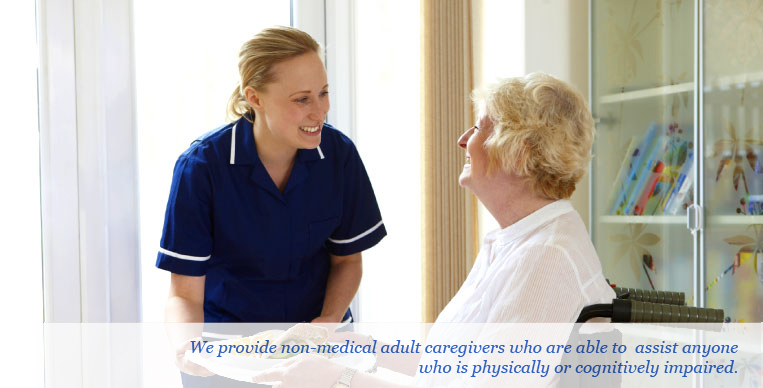 Family Choice provides non-medical companions/ homemakers for private duty services to seniors who have chosen to stay safely at home. At Family Choice, we make every effort to understand our clients’ needs, in order to help them create a nurturing, supportive environment under our compassionate care and assistance, thus retaining their independence and providing their families with peace of mind.